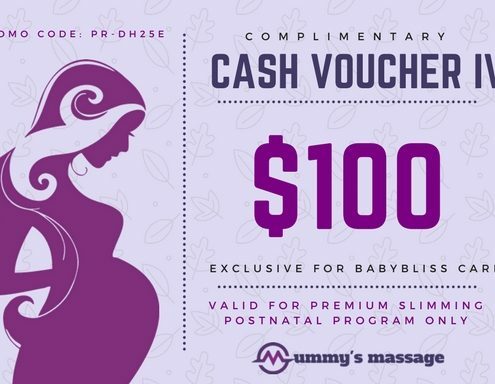 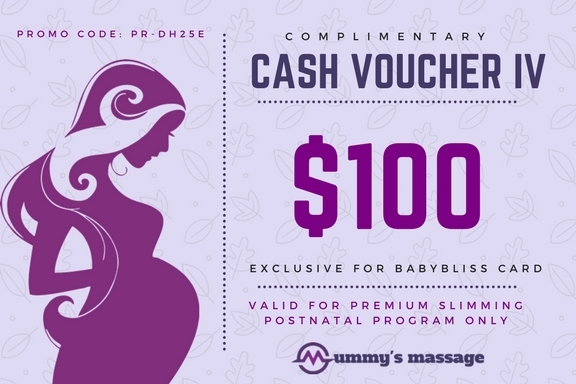 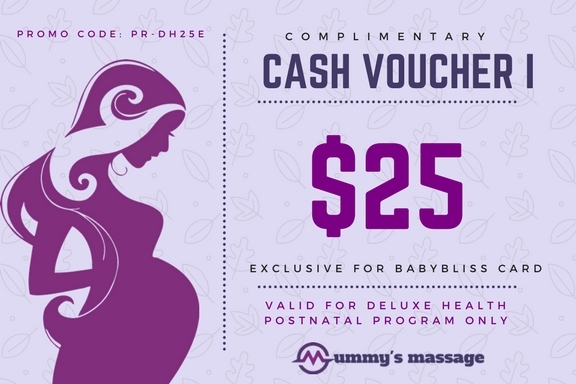 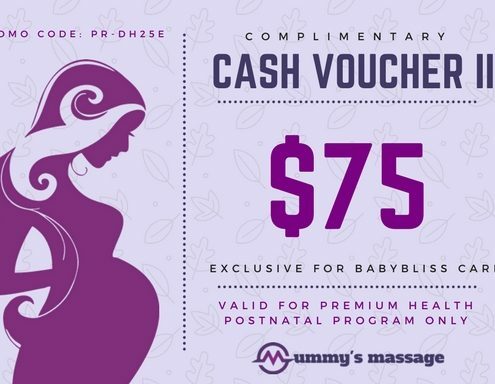 Baby Blisscard Cash Voucher for Mummy's Massage Members. Good News for All Baby Bliss Card Holders! 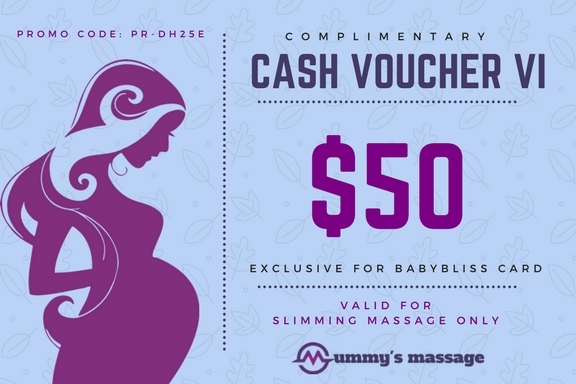 Mummy’s of Baby Blisscard holders can now receive your choice of Cash Voucher with Mummy’s Massage! 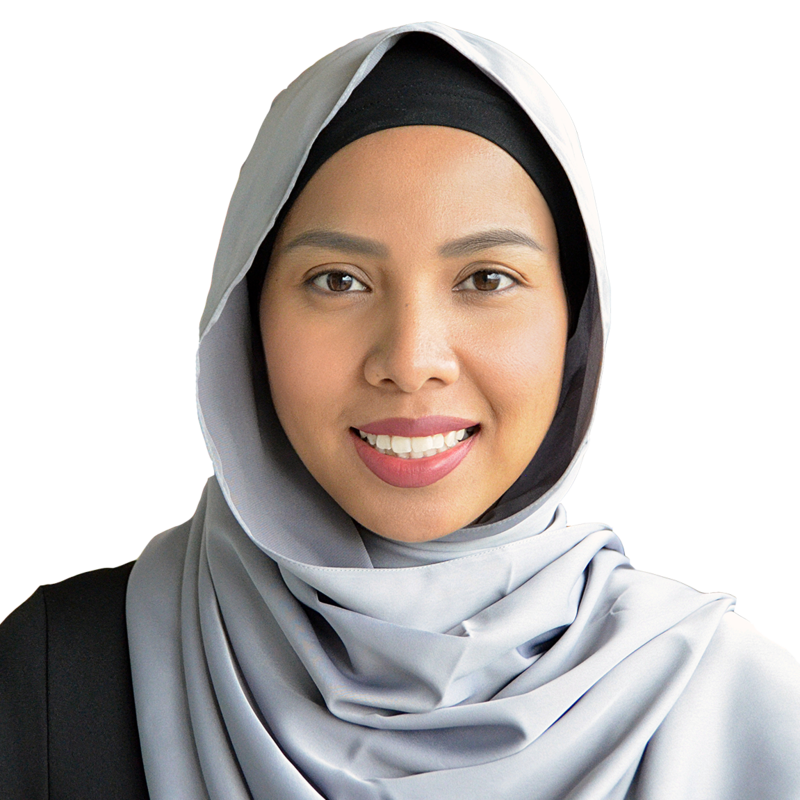 Regardless if you are pregnant or have already delivered, as long as you are a MOTHER, you will be entitled to redeem your Cash Voucher. Choose Your Voucher and Make your Bookings With Us Today!